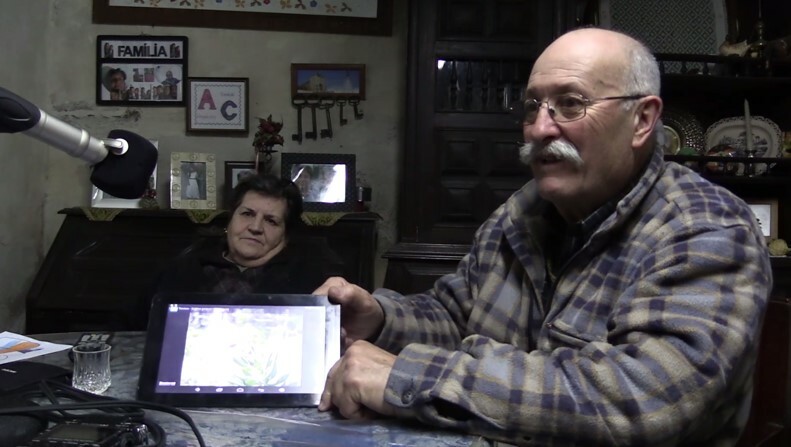 The aim of the project Frontera hispano-portuguesa: documentación lingüística y bibliográfica [Spanish-Portuguese frontier: linguistic and bibliographic documentation] (FRONTESPO) is the comprehensive linguistic documentation of the frontier area between Spain and Portugal. The Spanish-Portuguese border, one of history's oldest and most stable state boundaries, has become a meeting point and the confluence for linguistic varieties - with varying affiliations and different sociolinguistics, and legal status - whose boundaries are not always clear, nor consistent with the political frontier. Moreover, its marginal location with regard to the main urban centres meets special conditions for the preservation of archaic language states. It has also been an area of intense interpersonal mobility, on both a temporary basis (day labourers, sailors, pilgrimages, smuggling, etc.) and of a permanent nature (intermarriage, migration, exile and refuge, etc.). All these factors make it an ideal place for linguistic and ethnographic research from multiple perspectives. The frontier area is engaged in an evolutionary process that is changing its cultural and linguistic identity very quickly. The many factors of change include the following: a loss of the traditional way of life, depopulation of the hinterland, migration to large cities, the abolition of border controls and the free movement of goods and workers, a strong expansion of mass media and the spread of universal education. It is therefore urgent to gather information on the frontier area, in order to document the more traditional situation and to study the process of change, as well as to highlight its immense cultural heritage, with the ultimate aim of contributing to its revitalisation. Customs office at Vilar Formoso (Portugal). Google Maps coordinates. During the first phase (2015-2017), 64 survey points were explored, distributed in 9 work areas along the Spanish-Portuguese frontier. Each area consists of a minimum of two Spanish and two Portuguese localities; to facilitate comparisons over time, two of the chosen points (one on each side of the frontier) had previously been examined by a linguistic atlas or dialectal monograph. In general, at least three informants were interviewed at each point in the network, with representation of both sexes and stratification by age, taking into account the specific demographics of the region: a) speakers over 75 years old; b) speakers between 50 and 75 years old; c) speakers under 50 years old. The interviews were based around three areas: the semantic fields of traditional life (agricultural work, pets, flour and bread, etc. ), ethnographic information about life on the border (smuggling, relations between villages, traditional ways of life, etc.) and the informant's linguistic judgements (a comparison of the speech community with neighbouring villages, the language used in linguistic exchange with people on the other side of the frontier, the language of the youngest members of the community, etc.). The vast majority of the interviews were recorded on video - a format that enables numerous paralinguistic elements to be included, helps to explain certain concepts and is more appropriate for dissemination purposes. The oral corpus will be gradually published in the coming months under the oral corpus tab on the website. The updates tab provides information on all the news, which is also available on our social networking profiles. The conditions of use must be consulted before using the material. Interview at Escarigo (Figueira de Castelo Rodrigo, Guarda). Google Maps coordinates. The project envisages the creation of a bibliographic database that includes primary and secondary sources that focus on the frontier from any of its multiple perspectives (anthropology, economics, geography, literature, etc.) and enable an understanding of the linguistic situation in the region over the centuries. 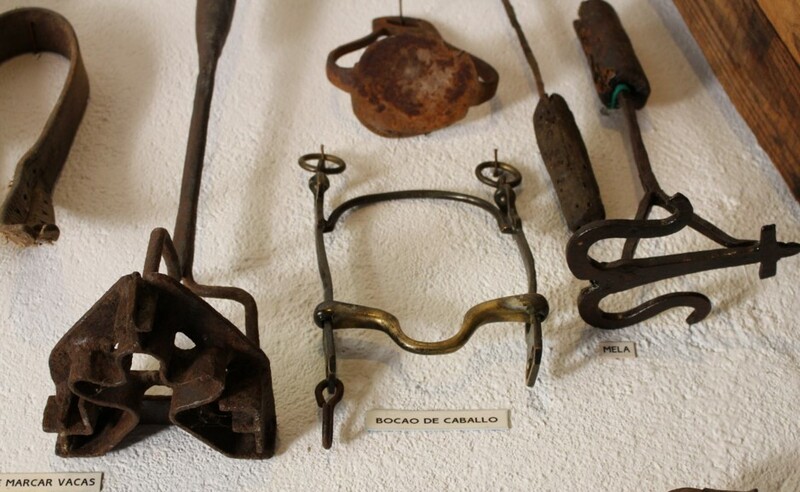 The scientific community has the very valuable catalogue produced by the Campo Arqueológico de Mértola, in the development of which members of FRONTESPO were involved. We are aware of the need to avoid a duplication of efforts and to establish collaborative networks, and have obtained permission to include these materials in our database. Computerised management of the materials, and what this entails in terms of information search and results retrieval. Consideration of the entire Spanish-Portuguese frontier, from the mouth of the river Miño to the mouth of the Guadiana. Incorporation of studies from any knowledge area. Precise geographical delimitation of each record. Cataloguing by subject and inclusion of descriptive metadata. Currently, our site offers 1500 records of linguistic items. We are currently working on the publication of five thousand bibliographical sheets referred to other thematic fields; they will be merged on the database during the following months. 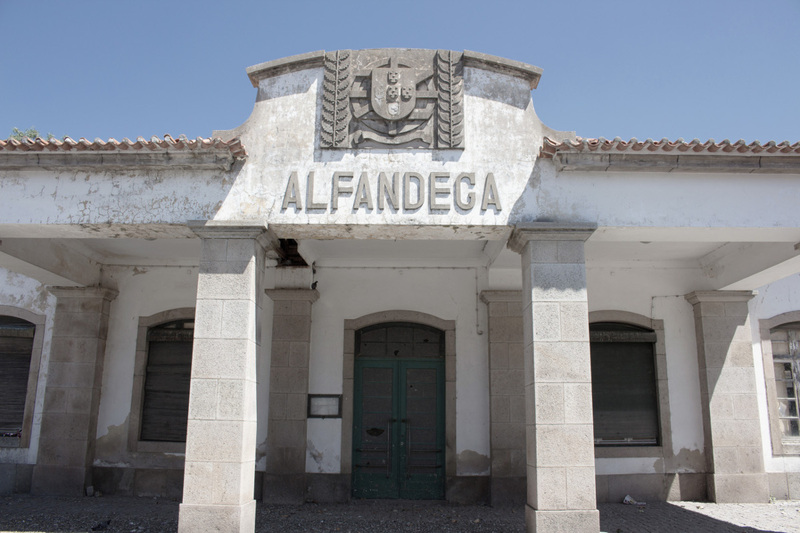 The Lexicon of the Portugal-Spain border, edited by Dr José Antonio González Salgado, collects vocabulary shared on both sides of the Spanish-Portuguese frontier. Leaving aside the common lexical fund and the loan words across the entire region, this thesaurus is a dictionary that contains the lexicon shared on both sides of the frontier, and which on the other hand, separates the Spanish-Portuguese frontier from the rest of Spain and Portugal. Museo Etnológico de Puerto Seguro (Salamanca)'s collections. Google Maps coordinates. Our blog and profiles on social networks report on developments in the project (publications of articles, conference presentations, new content on the web, etc.) and disseminate relevant information on frontier and linguistic studies, with special attention to the Spanish-Portuguese sphere. We have selected various links to websites: official agencies that manage cross-border programmes, studies of the area's cultural or natural heritage, pages studying the language of a particular region, geographic and historical descriptions of border villages, etc. To suggest a new link, please contact frontespo@gmail.com. 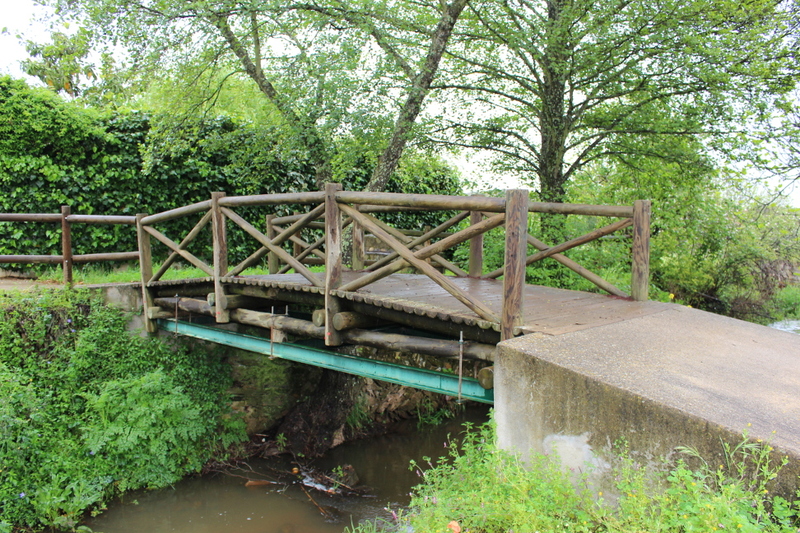 International bridge over the stream Abrilongo (El Marco / Várzea Grande). Google Maps coordinates. Xosé Afonso Álvarez Pérez (lead researcher) - Ramon y Cajal researcher at the Department of Philology, Communication and Documentation of the University of Alcalá since 2015. He previously worked at the universities of Lisbon and Santiago de Compostela. CV. Fernando Brissos — Postdoctoral researcher at the Fundação para a Ciência e a Tecnologia (Governo de Portugal), affiliated to the Centro de Linguística da Universidade, Lisbon. CV. Juan M. Carrasco González — Professor of Portuguese Language and Literature at the University of Extremadura. He holds a degree and a doctorate from the University of Salamanca; he was a research fellow at the Fundação Calouste Gulbenkian in Lisbon. CV. Vera Ferreira - President of the Centro Interdisciplinar de Documentação Linguística e Social (Portugal) and digital archivist at the ELAR - SOAS, University of London. CV. Jairo J. García Sánchez — Tenured lecturer in Romance Philology at the Department of Philology, Communication and Documentation of the University of Alcalá. CV. José Antonio González Salgado — Doctor at the Campo Arqueológico de Mértola, a partner institution of the Centro de Estudos de Arqueología, Artes e Ciências do Património of the University of Coimbra. CV. Ignacio López de Aberasturi Arregui — Secondary school teacher. Holder of Degree in Spanish Philology and a Doctorate from the University of Granada. He has been a fellow at the Linguistics Center at the University of Lisbon. List of publications. María Victoria Navas Sánchez-Élez — Honorary tenured lecturer at the Department of Romance Philology, Slavic Philology and General Linguistics at the Complutense University and research collaborator at the Centro de Linguística, University of Lisbon. CV. 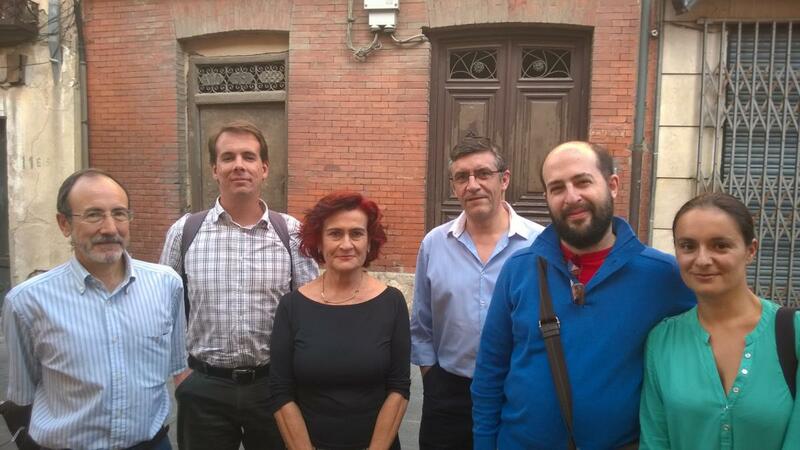 Meeting at Alcalá de Henares, October 2015. From left to right: Juan Carrasco, Fernando Brissos, María Victoria Navas, José Antonio Salgado, Xosé Afonso Álvarez and Vera Ferreira. Ministry of the Economy and Competitiveness of the Government of Spain, within the project Spanish-Portuguese border: linguistic and bibliographic documentation (FFI2014-52156-R). Period: 2015 – 2017. Ministry of the Economy and Competitiveness of the Government of Spain, within the project associated with the Ramón y Cajal contract Romance dialectology and language geography (RYC-2013-12761). Period: 2015 – 2019.